There are so many different kinds of pickups available that it can become difficult to dig through the ever-growing pile to choose the best one for your guitar. Sometimes, it can be helpful to select a few and compare them to see what makes them work, and what makes them different. We’re going to start with the Mini Humbucker versus Firebird comparisons and try to give you an idea of what makes them sound the way they do. We’ll look at both, to see what makes them similar, what makes them different, and which types of guitars each one has been used in. The Mini Humbucker was initially invented by the Epiphone Guitar Company for their own guitars in the early ’50s, and the design was later transferred to Gibson when they bought the Epiphone Guitar Company in the late 1950s. The pickup became very popular in 1968, when Gibson used the Mini Humbucker in their Les Paul Deluxe guitars. This was sort of a lucky break for the Mini Humbucker because the only reason Gibson installed it into the Deluxe models that year was that they had a massive inventory of them left from their acquisition of the Epiphone Guitar Company. The size of the Mini Humbucker also made it a perfect replacement pickup for the P90, and these two pickups could be swapped without modifying the guitar. As the name suggests, the Mini Humbucker is a smaller version of the standard size, which is commonly called the PAF Humbucker. The tone from the Mini Humbucker is a middle ground between the single-coil and full-sized humbucker, and it’s very similar to the sounds produced by a P90 pup, except for the 60-cycle hum. The sound is entirely different from a standard-sized humbucker pickup, mainly because the mini humbuckers have much smaller coils that produce a brighter tone than is possible from the standards. They also pick up the sound from a smaller area of the string, which results in a lower amount of bass frequencies getting picked up. The reduced size of the mini humbuckers also results in a smaller magnetic field. This means that there is less magnetic pull on your strings, which also helps give the pickup a brighter tone and more sustain. 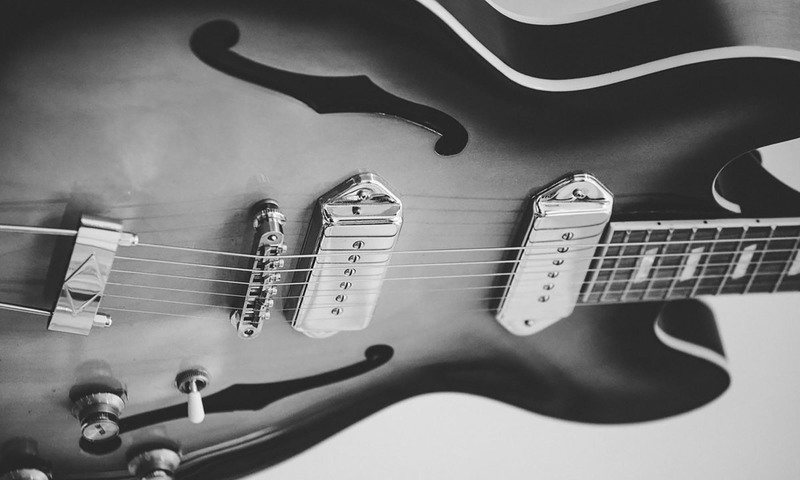 Initially, the Mini Humbucker was not very well-liked, and many consumers considered it inferior to both the standard-size humbucker and the P90, but since then, it has grown steadily in popularity. Today, it is a popular, and often favored pickup, with many modern versions available through several third party manufacturers. The Firebird pickup is another type of humbucker made by Gibson, that got its start in the Firebird guitar. From the outside, Firebirds look very much like Mini Humbuckers, the main difference being the lack of adjustable pole pieces; internally, however, they’re very different in design. The main difference between the two styles of guitar pickups is the magnetic field. Mini Humbuckers use a single bar magnet that sits between and below the coils. The magnet physically touches each set of posts and creates an opposite magnetic field in each set. A Firebird pickup uses two “rail” style bar magnets, one or which is placed in the center of each of the bobbins that the coils are wound around. This design does not use steel posts because, the rail magnets are able to pick up the string vibrations. This design leads to a completely different magnetic field than the one produced by mini humbuckers, and it also means that less coil can be wound around each bobbin. Fewer windings lead to a pickup with a lower output and a brighter tone, which helps Firebird pickups sound much more like “silent” single coil pickups than the Mini Humbuckers do. Neither the original Mini Humbuckers, nor the Firebirds, was very likely to be wax potted, which gives them a slightly more microphonic sound, but several modern versions of a wax-potted style of these pickups are available. Many people consider the Mini Humbucker to be too warm, with some claiming that the pickup is muddy-sounding. However, it should be noted that when replacing a single-coil pickup with a Mini Humbucker you quite often also need to change the 250k pots to 500k, or it can lead to a muddy tone. Firebird pickups are much brighter than Mini Humbuckers because of their design, and may not need this extra step. Les Paul Deluxe, Epiphone Coronet, Wilshire, Crestwood, Sheraton, Riviera, Silvertone. Guitar Players who use these pickups. Johnny Winter, Pete Townshend, Scott Gorham, Caleb Followill, Jeff Carlisi, Neil Young. PAF is the name of the original humbucker pickup that was designed by Gibson in 1955 and used in their guitars until about 1962. The PAF stands for “Patent Applied For” because this is what they printed on the pickups before the pickups were awarded their patent. This style of the pup is the most commonly copied version of the humbucker pickups. There are plenty of modern replicas available, but the originals are highly sought-after and collected. What kind of pickups are in a Gibson Les Paul? Most Gibson Les Pauls are equipped with two standard Classic ’57 humbucker pickups. What is a humbucker sound? The humbucker sound is the one most often associated with the humbucker pickup. It is said to be warm and smooth, with a high output gain that is great for Heavy Metal and other music genres that use a lot of overdrive, especially when compared to a single-coil, which is a thinner, more crisp sound often described as bright and clear.